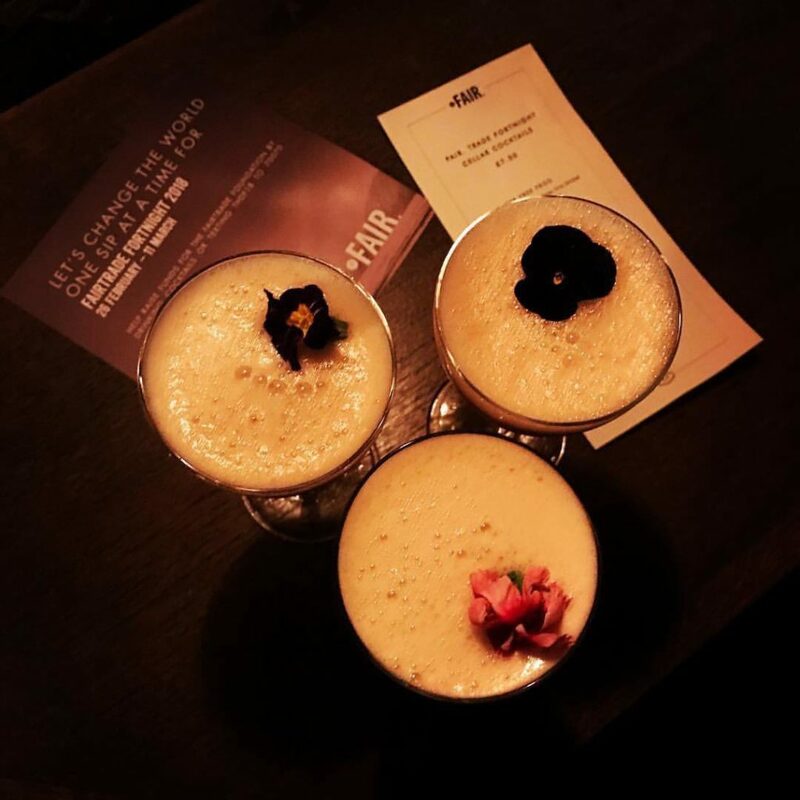 Fairtrade Fortnight 2018 was a whirlwind of special cocktail making classes, walk-in tastings and bespoke bar menus here at TT Liquor – all raising money towards a good cause. 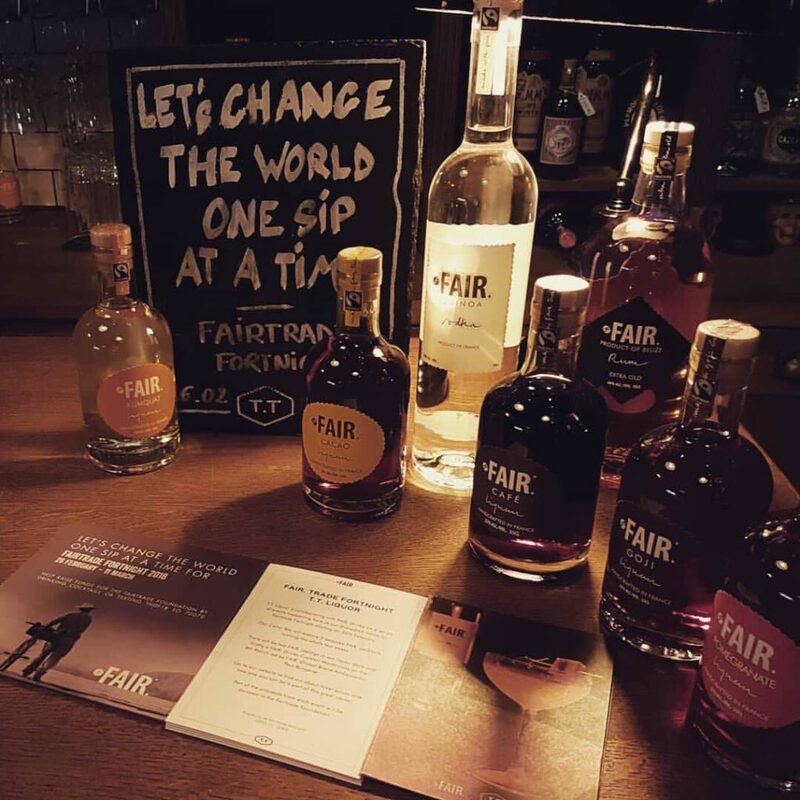 For two weeks, starting at the tail end of last month and coming to a conclusion on March 11th, TT Liquor took part in the initiative – collaborating with ethical drink brand FAIR to put on a number of events, from which a good chunk of the proceeds went towards the Fairtrade Foundation. 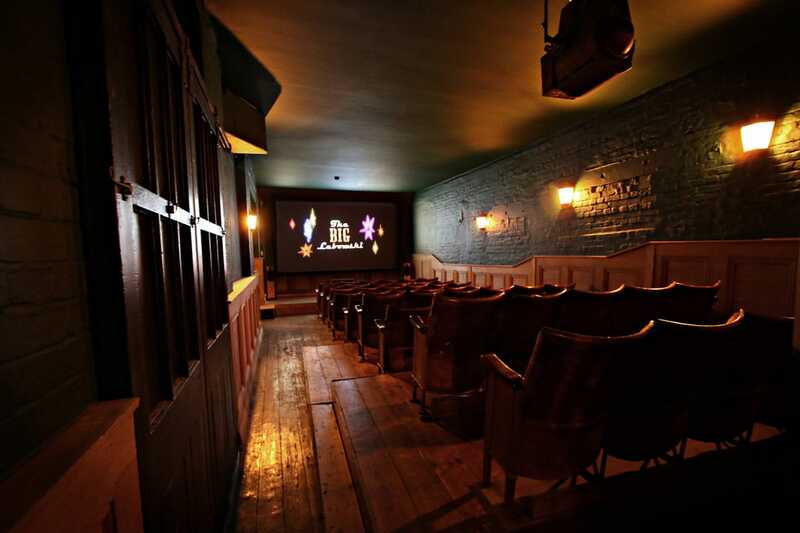 The fortnight kicked off with a launch event on 26th February, as press and members of the industry braved the elements and found refuge in our subterranean Cellar Bar. There, they got the chance to sample our specially-curated FAIR-inspired bar menu. Our dedicated mixologists had been hard at work for weeks putting together three delicious cocktails to mark the occasion. There was The Tree Frog – made using FAIR. Quinoa Vodka, Smoky Banana Syrup, Lime, Smoked Rock Salt & Creole Bitters –, Plaisir Coupable – featuring FAIR. Rum, FAIR. Cacao, Chilli Infused Costro, Vermouth Rosso & Bitters – and, last but by no means least, our FAIR-inspired take on the traditional Espresso Martini – made up of a simple yet delicious medley of FAIR. Vodka, FAIR. Cacao & Sugar Syrup. £2 from each drink sold went towards the Fairtrade Foundation, and dry January was well and truly behind us, so guests were able to sip on some classic cocktails with the clearest of consciences. In addition, we held a very special one-off cocktail making masterclass on 8th March, exclusively featuring ethically-sourced spirits and ingredients, and led by FAIR Global Brand Ambassador, Paul Bungener. Guests were greeted with a FAIR. Vodka and Karma Cola Gingerella cocktail, before sampling some FAIR. tasters, and learning to mix and muddle these into three FAIR. inspired cocktails of their own. To top things all off, there were also a couple of free walk-in tasting sessions held in our bottle shop on Kingsland Road. 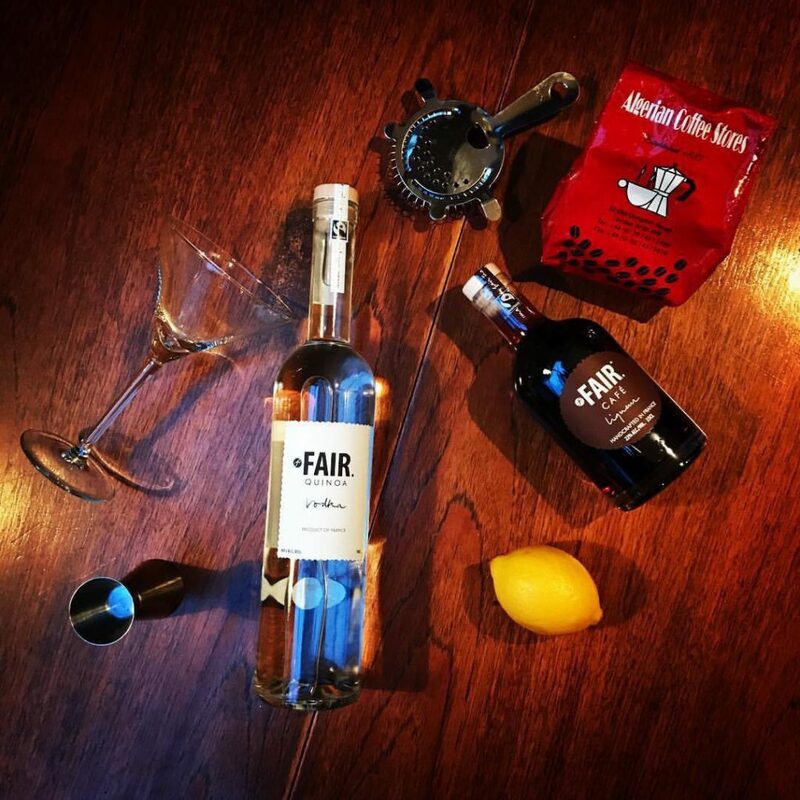 This gave random members of the public a chance to sample FAIR’s impressive range of ethical offerings – including their new Cacao liqueur and (Quinoa Vodka). 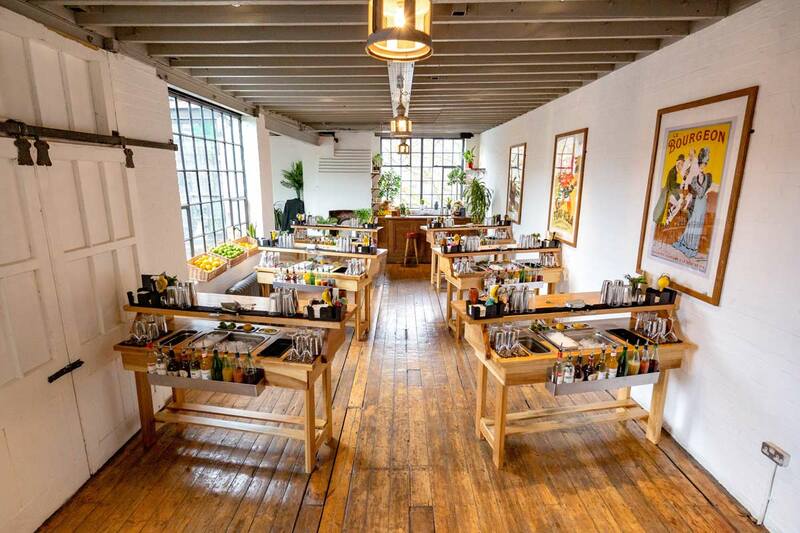 Overall, the two weeks were a resounding success. We were proud and honoured to have taken part in such a good cause, and are grateful to FAIR. drinks, and Mr Paul Bungener, for handing us the opportunity.